and dry swaths and soilage. or dried hay and low-stem green forage. 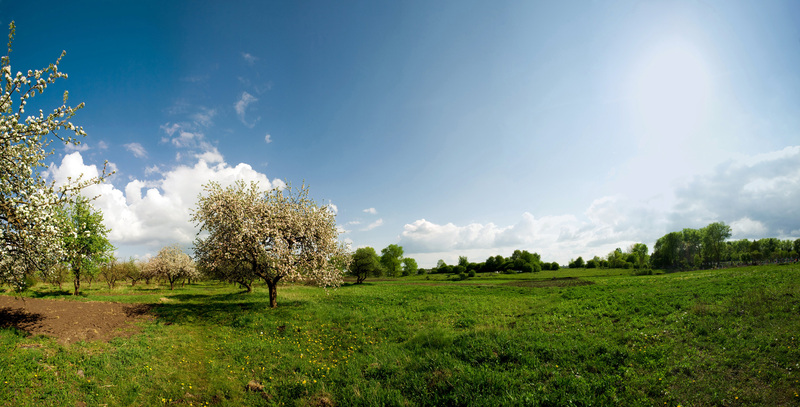 and for other farming works related to mowing grass and weed. as well as destroying small bushes, trees and branches. 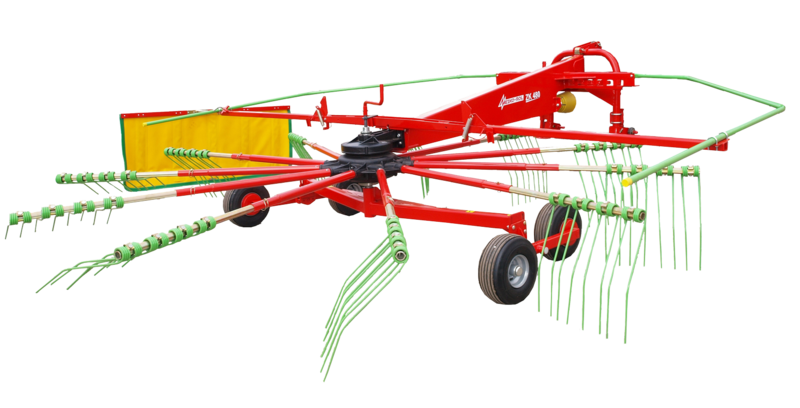 Orchard mower KS 160 is designed for working in orchards, on shrub plantations, and for other farming works related to mowing grass and weed. 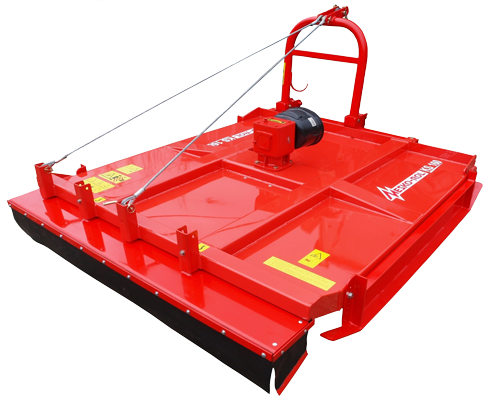 It is also efficient for overall maintenance and cleaning works in parks and on lawns. 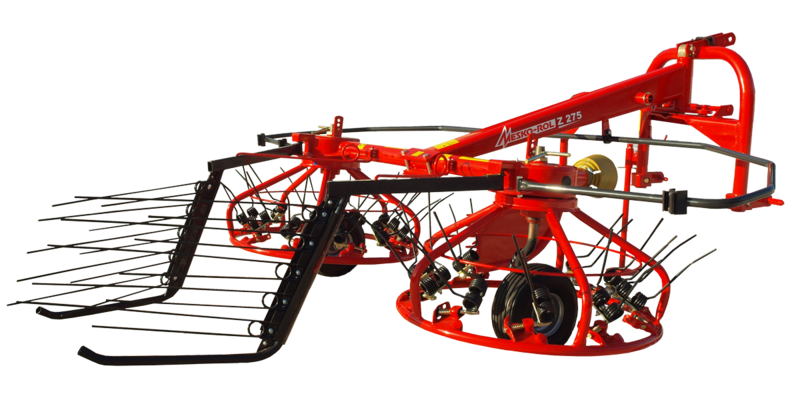 The mower is attached through a three-point linkage system, and designed for working with category I and II tractors. 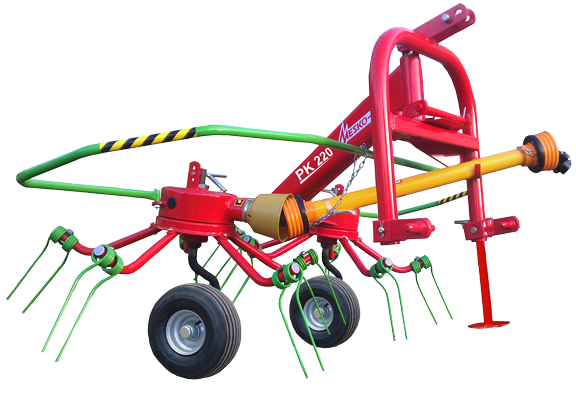 Tractor power is transmitted to a right angle transmission through an articulated and telescopic shaft with clutch. 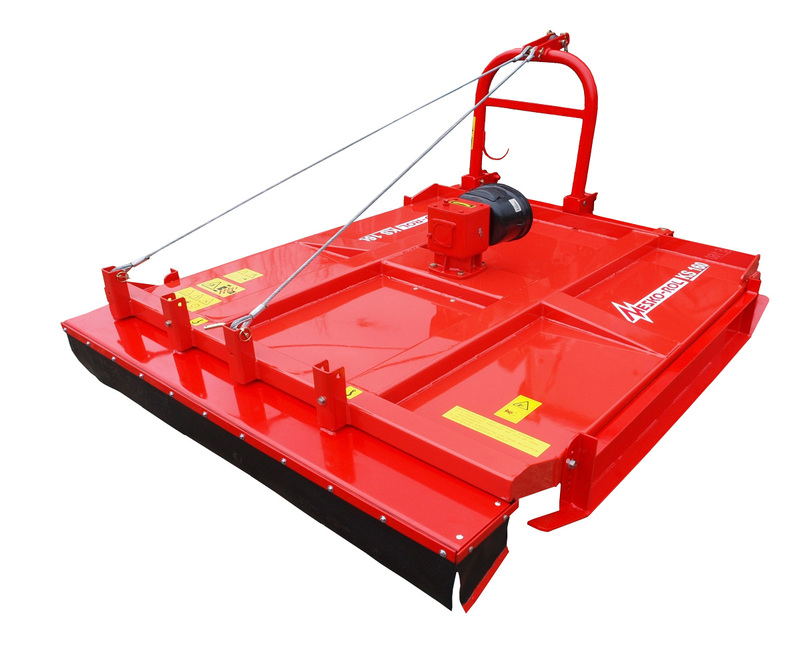 The mower is equipped with two rotating cutting knives, attached to a gripper located directly on the output shaft of the right angle transmission. The mower has a 35 cm side travel to the right of the tractor axis. 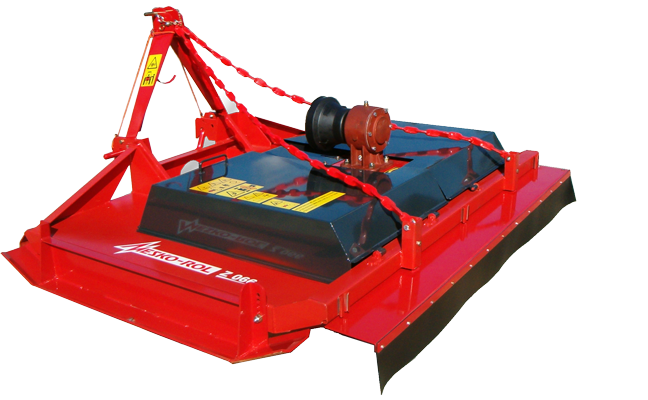 By changing the setting of support skids, it is possible to adjust mowing height within a 4-10 cm range. Contact us to order our products! 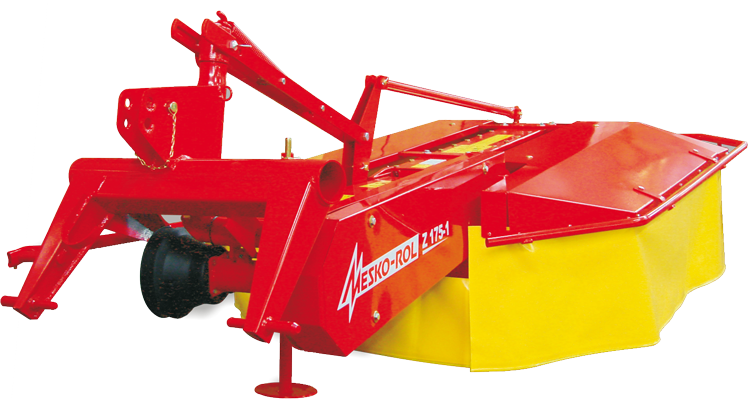 MESKO-ROL sp. z o.o. 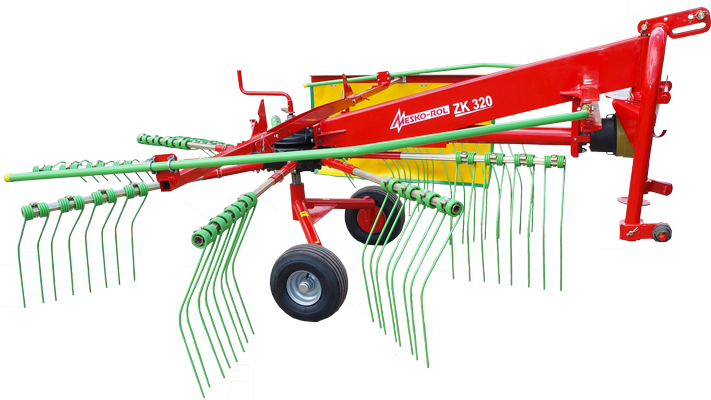 was established in January 3, 2000, based on an allocated portion of "MESKO" Metal Works S.A. in Skarżysko-Kamienna, taking over the original manufacturing lines and sale of agricultural machines for collecting soilage.